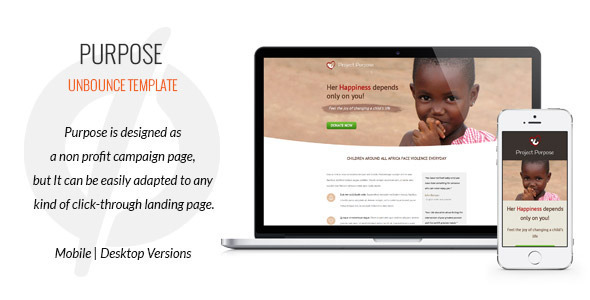 Purpose is designed as a non profit campaign page, but it can be easily adapted to any kind of click-through landing page. Purpose is an Unbounce Template, it’s NOT an HTML/CSS Template. Here you can find more informations about Unbounce. Easy to swap out images placeholders. Don’t forget to rate this item .